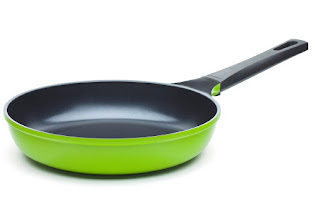 Welcome To ColleenRichman.com: 10" Ozeri Frying Pan Is A Kitchen Must! 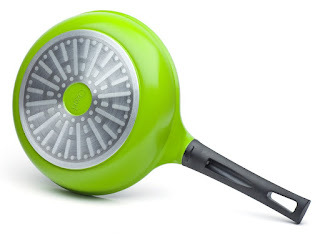 10" Ozeri Frying Pan Is A Kitchen Must! I love trying new recipes, and what I love even more is trying those new recipes in my new frying pan by Ozeri! This is so easy to fry on! I can make eggs without worrying they will stick to the bottom, and omelets are super simple in this pan. When I make french toast, I don't even need a spatula, I can literally flip it in the air, it doesn't stick! The handle stays cool, so I don't have to worry about burning myself, and I love the color. It's super easy to clean, since nothing sticks to it, it literally takes two seconds to clean! A little soap and water, wipe and done! If you're interested in getting a pan for yourself you can visit the link here.